Game Loop was founded in 2013 and is based in Redmond, Washington. Our first product, Easy Voice, was published to the Unity Asset Store in 2014. We are focused on creating easy to use game development tools designed to enable productive workflows. Our software aims to deliver delightful interactions, feature intuitive user interfaces, and provide great value to developers. Customer relationships are an important part of our software design methodology. Taking input from the community allows us to quickly iterate and deliver the types of tools with features that serve the needs of our customers. 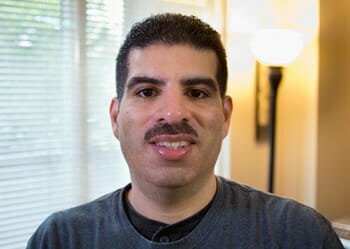 Alberto Fonseca has a broad software engineering background with over 20 years of industry experience including desktop, web, and mobile development, game design, user experience, and program/product management. He got his early start in the entertainment industry back in California where he grew up. His first software job was working for a small game studio, Totally Games. It was there he learned the tools of the trade developing AAA PC space combat simulations set in the Start Wars and Star Trek universes. Alberto earned his degree in Computer Engineering and Computer Science with a minor in Business from the University of Southern California (USC). He later relocated to Washington State where he shifted his focus to program management and gained experience at Microsoft and other local tech companies in the Seattle area. Focusing on user experience and having the benefit of a deep technical background, design, and management skills, he then transitioned out of the corporate world and into the startup scene developing mobile apps and later helping launch Therapy Exam Prep with his wife Miye. The idea for Game Loop came about as he never lost the desire to contribute to the games industry where he got his start those many years ago. With the background and experience to develop end to end software solutions, he decided to start a small studio to do just that for game developers. Hence, coming full circle, the name Game Loop seemed a fitting description to embody his personal passion and professional journey. When not writing code, designing, or managing software projects, Alberto continues to be an avid gamer. He enjoys a variety of games including RPG, action, strategy, and indie games with innovative game mechanics. He also enjoys motorsports and is a fan of sports car racing. He competes in wheel to wheel racing at the club level at Fonseca Racing as well as in online sim racing. Interested in sim racing? Use this referral link to join me on iRacing. You can connect with Alberto Fonseca on LinkedIn and follow us on your favorite social media.